Ramco continues to win business across the Middle East. 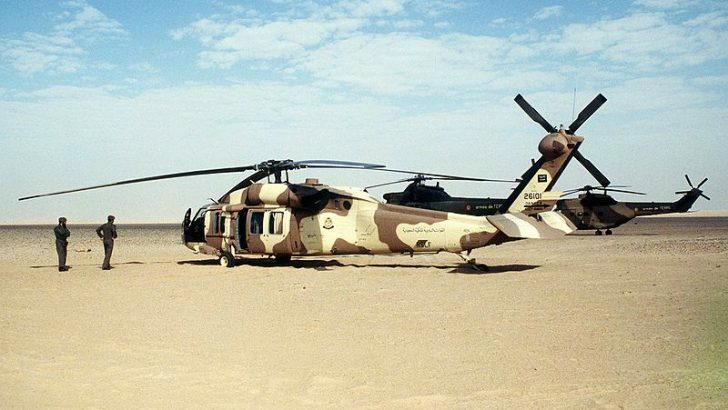 Its latest success was Riyadh headquartered Saudi Rotorcraft Support Company (SRSC). SRSC was founded as a joint customer between Alsalam Aerospace Industries, Boeing and Saudi Aerospace Engineering Industries (SAEI). The inclusion of Boeing in this triumvirate makes this win especially sweet for Ramco as Boeing have historically used Infor products. Ramco won the tender in a six month process against competition from both Lawson (Infor) and SAP software. The contract is to install the Ramco software to support the MRO (Maintenance, Repair and Overhaul) operation for SRSC across both civilian and military helicopter fleets. SRSC will also implement the HR, Payroll and finance modules of the software to support the wider business. While the Ramco Payroll supports multiple countries the deployment for SRSC is just in Saudi Arabia. So what is being deployed? 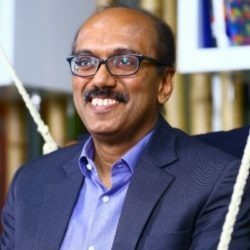 While the press releases indicated that this is a cloud-based solution Ramco clarified that it will be based on-premises. This is common for deployments in the Aerospace sector, especially in military aviation where cloud solutions are likely to be cut off. The initial deployment was for up to 60 users and an additional 100 ESS (employee self service) users. That figure is likely to grow as SRSC itself grows and extends its remit. Ramco believes this could be by as much as 35-40% next year. The project kicked off in May and phase one, which included HCM, Payroll, Finance and Materials is already complete. The second phase of deployment will go live in a few months. The solution will help support the operation of more than 360 military and commercial helicopters, a significant fleet. Ramco has deployed its Aviation Suite V5.8 including the following modules: Maintenance and Engineering, Human Capital Management, Aviation-centric Finance, MRO Sales and Global Payroll. SRSC users can manage the whole fleet from a single set of screens. This means that spares and inventory levels are optimised for different operations across the country. It seems likely that some cloud solutions will be deployed to support mobile working to assist with customer management and the administration of stock. Existing customer base of Ramco Aviation and our clients’ experiences with the solution to automate their processes. The press release indicated that SRSC and Ramco will jointly develop applications to further support the implementation. However, when questioned Ramco declined to comment on the nature of these applications. Ramco is however investing in R&D into new technologies such as blockchain, drones, wearables and others. It will be interesting to see, if made public, what they actually develop. This desire for innovation is directly connected to the vision 2030 initiative of the Saudi Arabian government. This aims to reduce Saudi Arabia’s dependence on oil. It plans to diversify its economy and develop service sectors. In choosing an internationalised ERP/MRO solution they will no doubt look to extend their MRO operation overseas in time. For Ramco this is a significant win in the Heli industry. It is a company that is likely to grow in the Middle East in both size and importance in the coming years. That is was co-founded by Boeing adds another dimension. Ramco has a chequered history with Boeing. It launched an EAM solution in partnership with Boeing in 2001, under the banner of Enterprise One. That joint venture lasted barely two years before Boeing restructured and stopped marketing software products to aviation. This is probably not the first time since then that the two companies have crossed paths. It will be interesting to see if it leads anywhere. In the US Boeing is one of Infor’s flagship customers, yet there has been no specific announcement yet that it is upgrading to Cloudsuite.